Feel like leaving your home, HowMuch is the solution. It lets you shop from your local store right from the palm of your hand. Shop from your favourite store online or from your mobile phone. The website and mobile app lets you choose from a wide range of options in every category to help you find the best quality available at the lowest price possible. Your order is delivered to your doorstep at the time of your convenience. Our e-shop design is invariably finest to put retail stores in the fast lane of digital world. 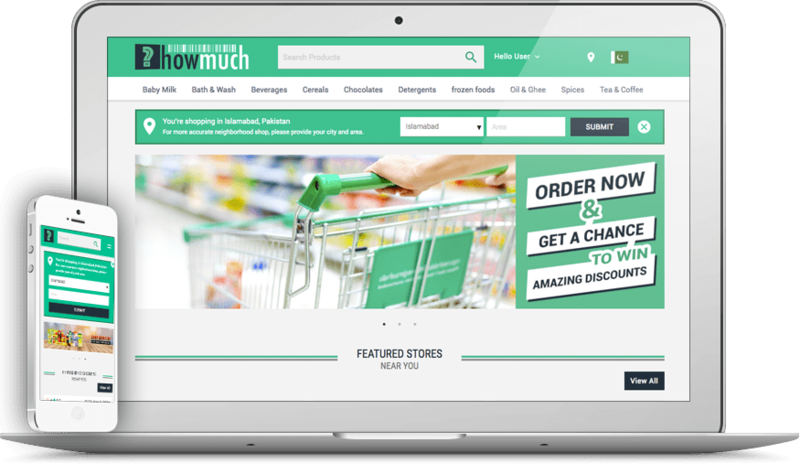 Armed with our proprietary and sophisticated technology, we guarantee customer satisfaction through an amazing online and in-store shopping experience. Main Office Plot 2-M, Chaudhary Market, I-9/4, Islamabad, Pakistan.